In the latest edition of Your Registry Questions Answered, we’re dishing out tips and advice when it comes to redeeming your honeymoon registry gifts. Q: Can I Only Redeem My Honeymoon Registry Gifts Once? A: You can redeem your gifts as often as you’d like with Wanderable! For instance, many of our couples will redeem 2 or 3 times along the way as new gifts come in, while others will redeem just once at the very end of the registry process. Whenever you’re ready to redeem gifts, simply log in to your Wanderable account and click on the “Redeem Funds” section. Gifts made with a credit card will be available in your account to withdraw via mailed check or direct deposit as cash after 72 hours. Heading to Greece for your honeymoon? Don’t miss out on Navagio Beach, better known as Shipwreck Beach. Situated on the island of Zakynthos, this incredible travel destination features a white-sand beach, steep limestone cliffs, and crystal clear water. It’s easy to see why this Ionian Island site is a favorite with honeymooners. Hoping to visit? It’s not quite as easy as you’d think. The beach is only accessible via boat, which you can find in the small port of Porto Vromi. Be sure to add this one-of-a kind excursion to your registry to ensure a most memorable honeymoon. Use your honeymoon registry to add a host of unforgettable food and drink experiences to your upcoming getaway. From romantic dinners with a view to poolside cocktails, here’s our list of must-add dining and drink options to include on your honeymoon itinerary. Whether you prefer buttermilk pancakes or made to order omelettes, don’t miss out on an unforgettable spread at your hotel or destination. 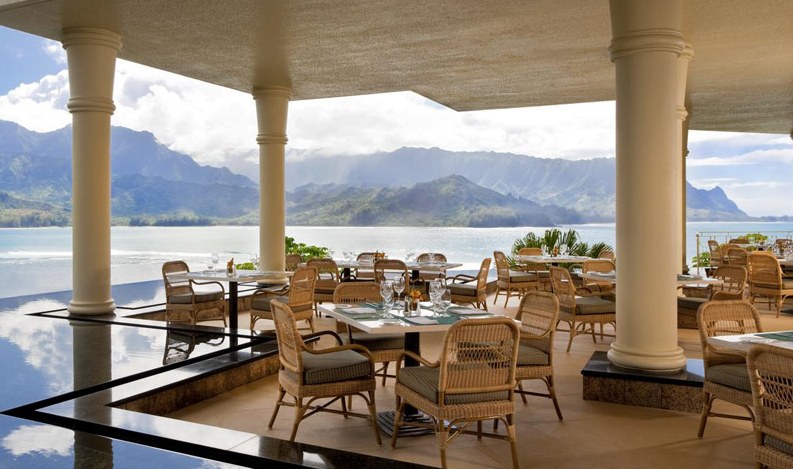 For example, the Sunday Brunch at Makana Terrace at the St. Regis Princeville features a carving station, hand crafted sushi, and specialty omelettes, among many more options. 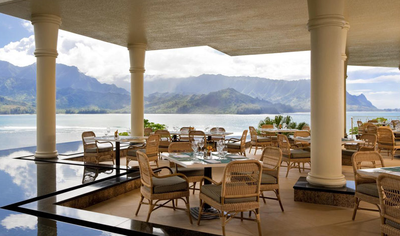 With panoramic views of the lush mountains of Kauai, this oceanside dining experience is truly spectacular. Whether poolside, at the hotel bar, or around town, mojitos and pina coladas will be memorable just about anywhere. But a drink will be even more special if there’s a premium view of the day’s sunset. This incredible Wanderable couple share their even more incredible love story. Here at Wanderable, we’re lucky to support a community of smart, thoughtful, and adventure-loving couples who all dream of experiencing the world. Today, we’re honored to share the story of Shannon and her fiancé, Phil. Their relationship has been through life’s ups and downs, and Shannon would love nothing more than to surprise Phil with the dream ending – a honeymoon to Italy! See their beautiful registry here and read their story below. What is your and Phil’s dream honeymoon? Gosh, that’s such a great question! For as long as I can remember, we have always dreamed of visiting Italy – Rome, Venice, Florence, Sorrento, the Amalfi Coast – so many places to see! We love, love, love learning about foreign countries, their cultures, and of course their food! We are both adventurous and like to try new things, but we also appreciate relaxing on the beach with a drink in hand! I have no doubt that our feet will touch ground in Italy at some point in life!